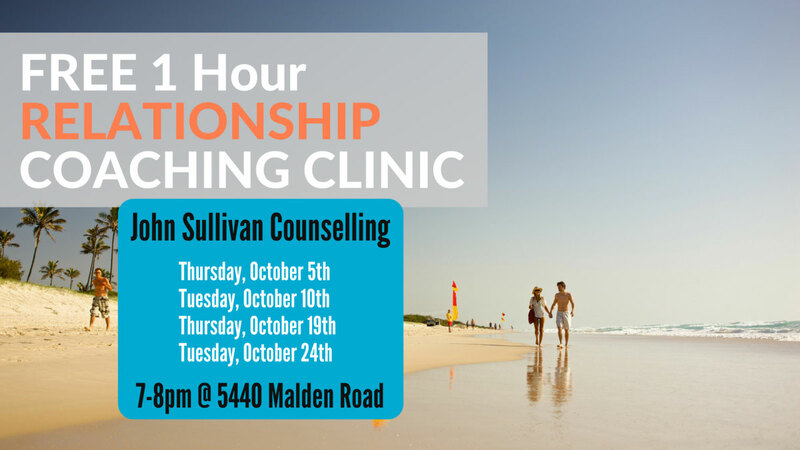 I will be hosting FREE 1 hour Relationship Coaching Clinics in October and I want YOU to be there! Please select from one of the following dates that works best for you and your partner. All sessions are held from 7-8pm in our office at 5440 Malden Rd. Windsor, ON. Kindly RSVP by using the contact information below. There is limited space available to be sure to reserve your spot TODAY.